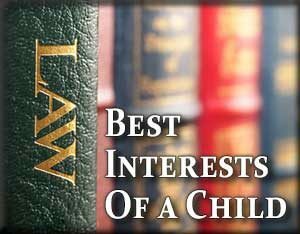 Oklahoma courts look at the best interests of the child for guidance in decisions regarding custody and visitation. Because this standard can affect overall direction and particular details of child custody and support, it is important for a divorcing parent to understand what the standard means. In weighing the best interests of the child, a court may consider a number of factors, such as the ability of either parent to meet that child’s physical and emotional needs. This could mean the parent’s housing situation, their ability to meet basic needs like clothing and their capacity to maintain a stable environment will be reviewed by the court. A court may look at the age of the child to determine their needs and how to best fulfill them. A younger child may have different needs than an older child. In general, a parent who is actively involved with their child, who has a safe and stable home environment, and who is emotionally available to their child is often considered to be meeting their child’s needs. Over the years, courts in Oklahoma have come to understand that it is really in the best interests of the child for the child to have a continuing relationship with both parents after a divorce. This allows the court to award custody to whomever the court feels will be the best person for persons for the child to live with. This is most often the parent or parents unless the court finds by clear and convincing evidence that one of the parents has willfully refused or failed to contribute to the child’s support even though that parent was able to do so. or the parent is unfit in some way. In general, the reasons for keeping a parent away from a child must be severe for the court to determine that it is not in the best interests of the child to have a frequent and continuing relationship with the child. Any non-custodial parent is to be given regular and on-going visitation with the child according to the court’s order and the custodial parent has an affirmative duty to help facilitate that visitation. Issues of custody and visitation often plague parents after a divorce. 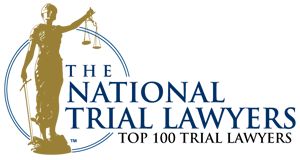 If you have questions or concerns about either, bring them to an experienced Tulsa child custody attorney. 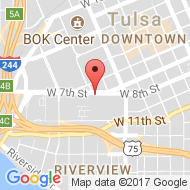 The child custody lawyers Tulsa residents trust at Wirth Law Office offer free initial consultations to help you quickly establish if our legal services are a good fit for your current situation. Call (918) 879-1681 for a free consultation or submit a question through this website.